We are delighted that Asian Arts Agency’s new music commission PunjabTronix has been invited to perform at the official SXSW Music Festival in Austin, Texas, this year. This is a special moment for PunjabTronix, which was developed in 2017. Following a successful UK tour in July 2017 and rave reviews, it has attracted global interest, and PunjabTronix will now perform several showcases at SXSW Music Festival. Prior to the Festival, PunjabTronix will embark on its first USA East coast tour, performing in several cities, including New York, Boston and Washington DC. “We are very excited to showcase PunjabTronix at SXSW Music Festival and on a US tour. PunjabTronix is a brand new, exciting contemporary music project where technology meets raw Punjabi folk music. Since its debut UK tour in 2017, the project has attracted global interest from promoters, festivals and audiences. I have no doubt that SXSW and the USA tour will be a unique experience for the artists and audiences”. SXSW Music Festival is an iconic global music industry event taking place every March in Austin, Texas. It is the world’s premier industry showcasing event, with artists from over 60 countries showcasing during the festival. This new international commission brings together the talents of British Indian electronic music producer DJ Swami, the finest folk musicians from Punjab (Vijay Yamla, Naresh Kukki, Dheera Singh, Gurtej Singh) and Bristol-based live visual artist, John Minton. 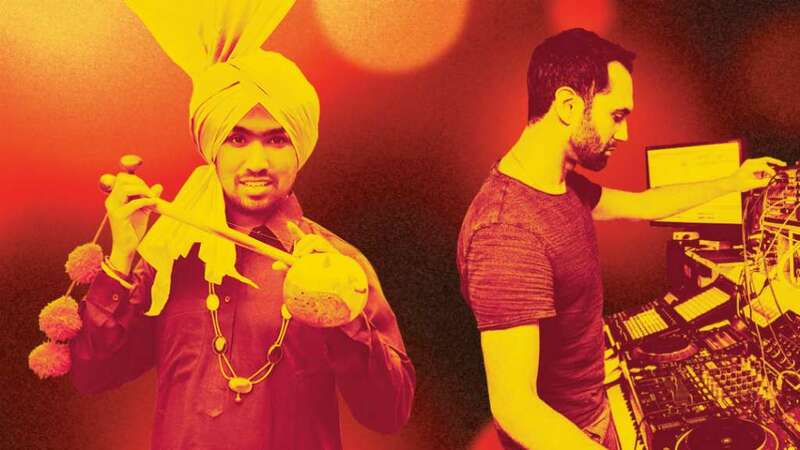 PunjabTronix is a cutting edge experience of technology and British electronic music connecting with the raw energetic DNA of Punjab – culminating in an exciting new musical and visual experience. For more information, videos and more, visit our PunjabTronix USA tour event page.